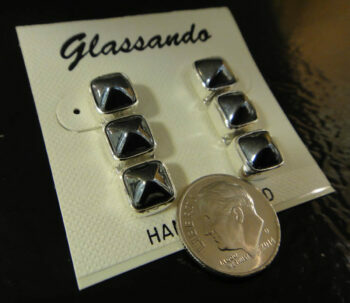 These long post style earrings feature dark gray Czech glass pyramids set in silver. These long post style earrings feature dark gray Czech glass pyramids set in silver. 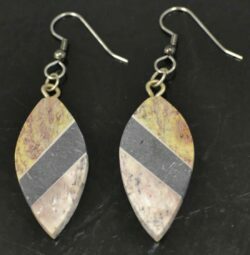 They have an edgy and fun look, the pyramids stick out from the setting for a three dimensional look. 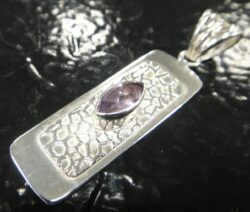 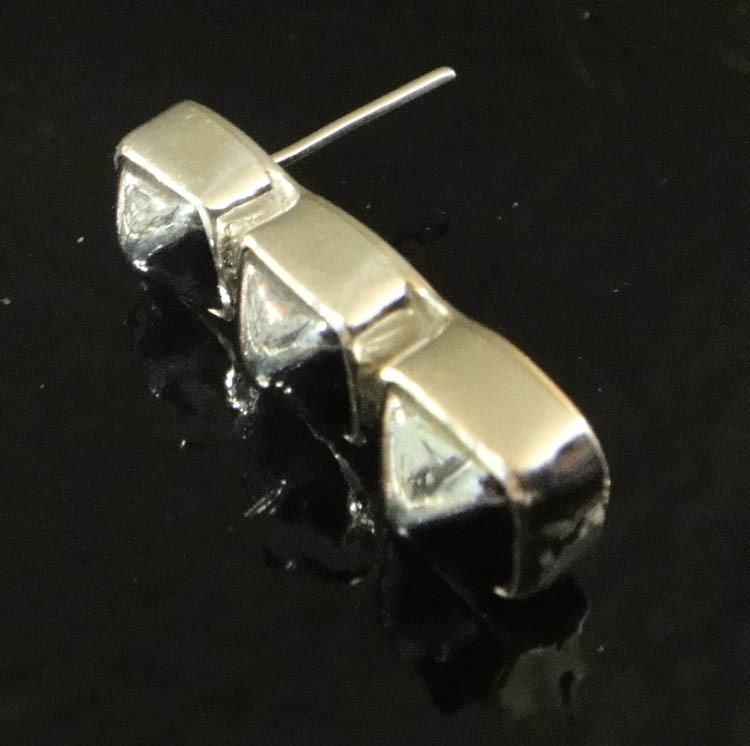 All metal used in these earrings are .925 sterling silver, and the earrings are stamped on the back “925” so you can be sure you are getting genuine sterling silver jewelry. 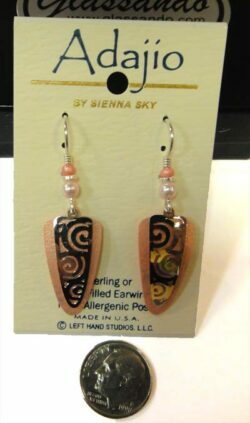 These earrings measure approximately .3″ wide by 1″ long. 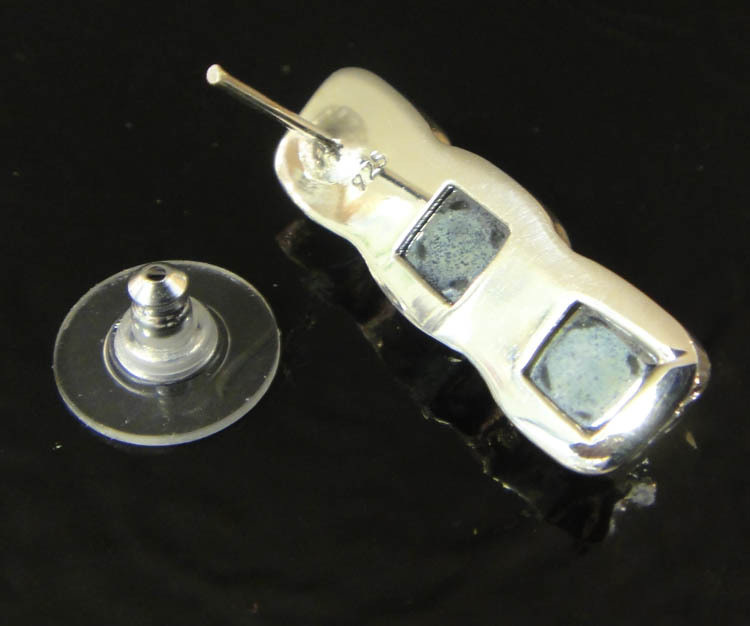 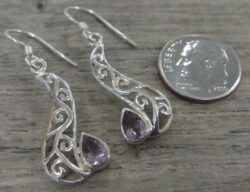 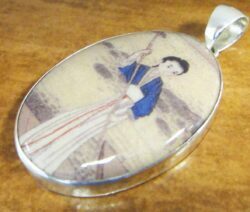 The dime shown in the picture is not included but shown to help you gauge the size of the earrings. 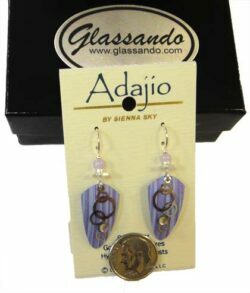 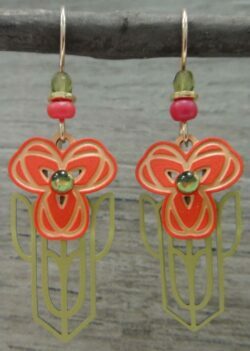 These earrings come with a gift box which is great for giving and storage for years to come.